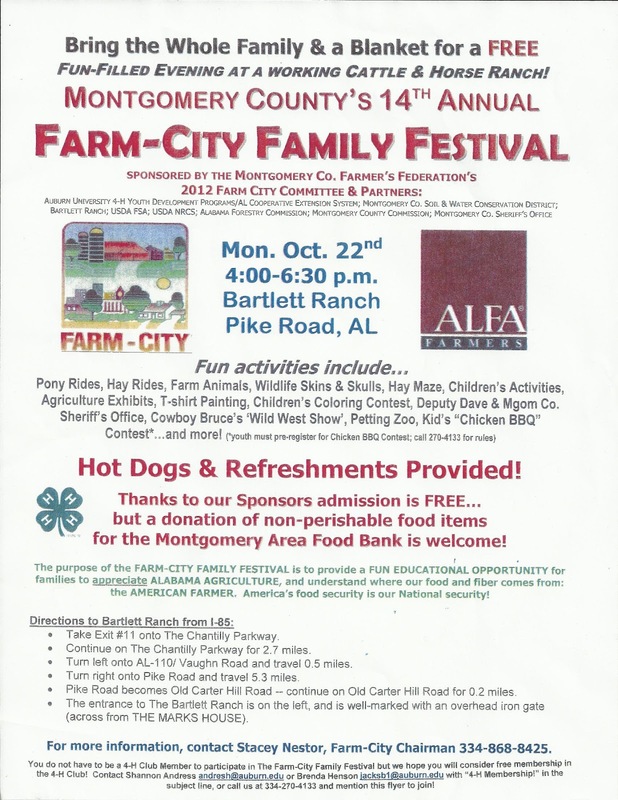 Montgomery County's 14th Annual Farm-City Family Festival. Hot Dogs & Refreshments Provided! Admission is FREE but donations of non-perishable food items for the Montgomery Area Food Bank are welcome! Pike Road becomes Old Carter Hill Rd-continue on Old Carter Hill Road for 0.2 miles. 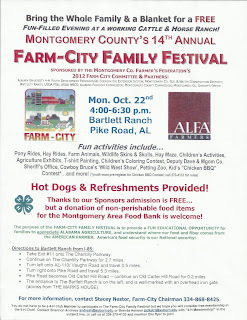 For more information contact Stacey Nestor, Farm-City Chairman 334-868-8425.